We are firm believers that you have to first know what needs treating before treatment begins. One of the ways to maintain tree health is by providing proper soil fertility. To this end, we work in conjunction with CLC LABS in Lewis Center, Ohio who specializes in soil analysis. 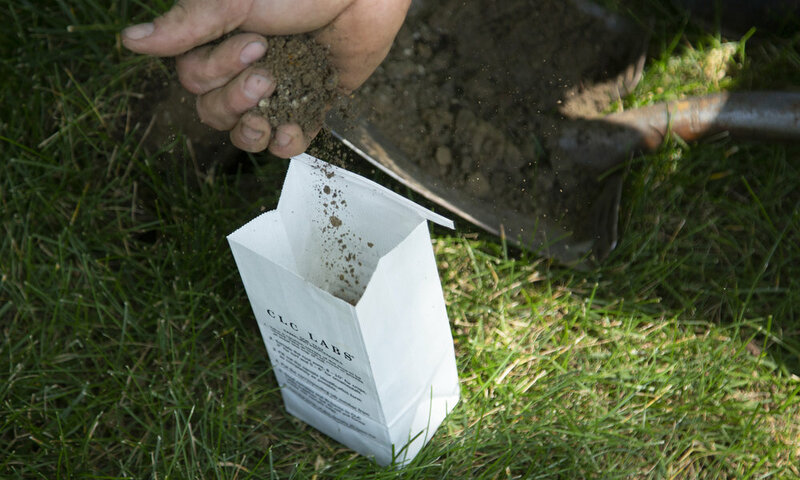 When we need additional assistance in identifying a potential nutrient deficiency, we take soil and/or plant tissue samples to send off for technical testing. See Below For Our Soil Testing Process with CLC LABS. A Russell Tree Experts Tree Wellness Technician collects a soil sample from under the canopy of the tree(s) in question, prepares the sample, and delivers it to CLC LABS. CLC LABS begins their process by air drying the soil sample overnight at ambient temperature. Heat cannot be used to assist in the drying process because it will create potassium loss. 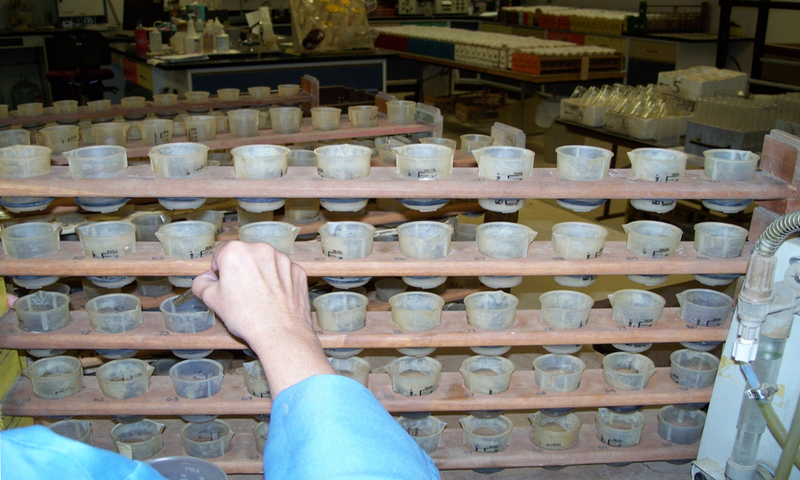 A CLC LABS Technician uses a precision scooping technique on dried, crushed, and sieved soil and places the sample into an extraction cup. Extracting solution is added to the soil sample. The sample is then placed into a “shaker” which shakes the soil sample. Depending on the analyses required, shake times can vary from ten minutes to two hours. Once shaken, the soil/extract slurry is poured through filter paper to recover the extracting solution. The resulting sample is then analyzed for Potassium (K), Calcium (Ca), Magnesium (Mg), and Sodium (Na). The extracting solution is aspirated into an Atomic Absorption (AA) spectrophotometer to measure the concentration of K, Ca, Mg, Na present within the sample. A different extracting solution is used to determine the soil phosphorus (P) level. Once the soil/extract slurry is filtered, reagents are added to determine the concentration of phosphorus in the soil using a UV/VIS spectrophotometer. CLC LABS delivers the test results to Russell Tree Experts, along with specific recommendations. A Russell Tree Experts ISA Certified Arborist then reviews the results and determines the appropriate actions needed to treat the affected tree(s). The Russell Tree Experts Tree Wellness Technician applies a customized treatment to the tree based on the CLC LABS soil test results. We’d like to give a big thank you to CLC LABS for providing the images and details of their processes!